Check out our company brochure - See what Accredited Lock is all about! We have new specials every month. Check out the ones we have for April! 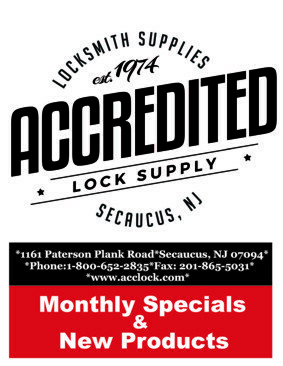 Accredited Lock Supply is a family-owned wholesaler of locksmith tools and door hardware. Our catalog features more than 75,000 residential, commercial, and industrial products giving locksmiths a premier distributor to turn to for all their needs. 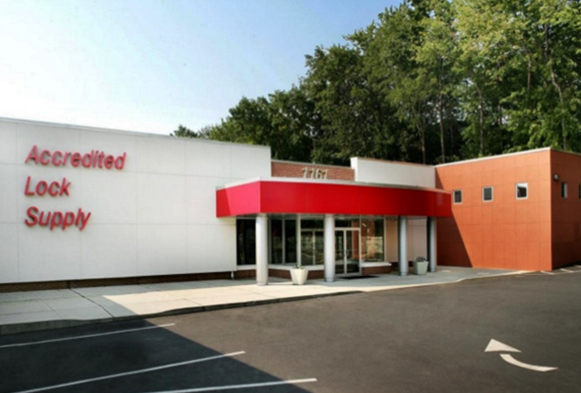 We have more than 40 years of experience helping institutions, contractors, and locksmiths get the equipment they need from over 25 manufacturers at wholesale prices. 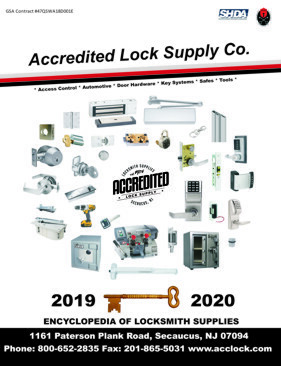 Accredited Lock Supply has grown to serve as the nation’s largest family owned single-source wholesale distributor serving customers throughout the United States and abroad. Whether you are an independent locksmith or working with a large institution, Accredited Lock Supply has the products, services and training you can count on for a secure future. Our clients are very important to us. We are dedicated to providing top-quality customer service. We accept orders at all hours from our Online Shopping Page Contact our Webmaster if you need to be setup with a username and password. © 2019 Accredited Lock Supply Co All Rights Reserved.